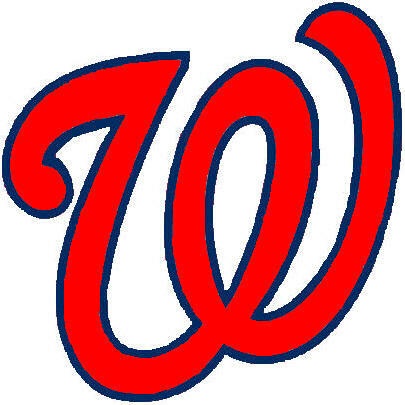 Rob Bland (Baseball Writer- MLB reports): The day so many people (namely the entire Washington Nationals organization) have been waiting for is finally upon us. 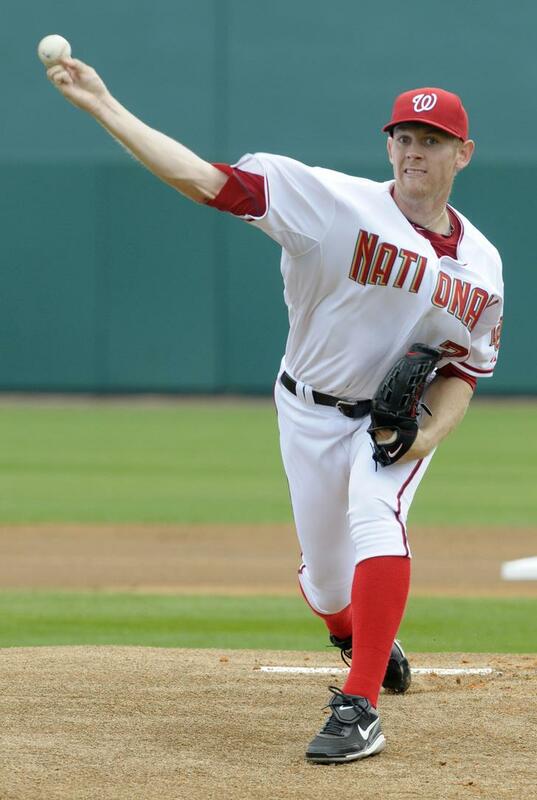 Stephen Strasburg, ultra phenom, who I covered his rehab here last week at the Reports, started against the LA Dodgers. 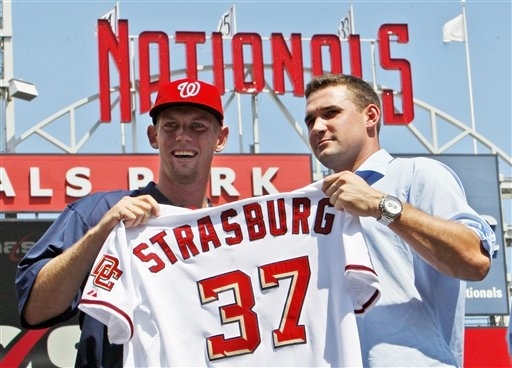 The hype that was produced was incredible, with every major US sporting website having a headline dedicated to Strasburg-mania. 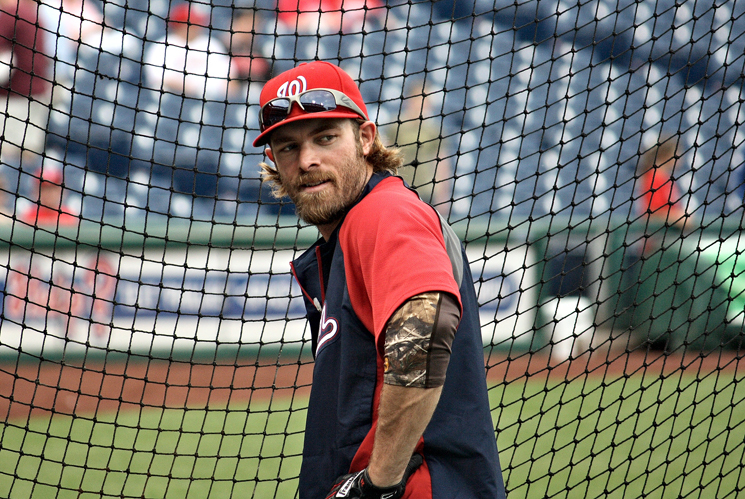 The twitter hashtag #MerryStrasmus has been coined and millions of people are tuning in to watch his first start since Tommy John Surgery. 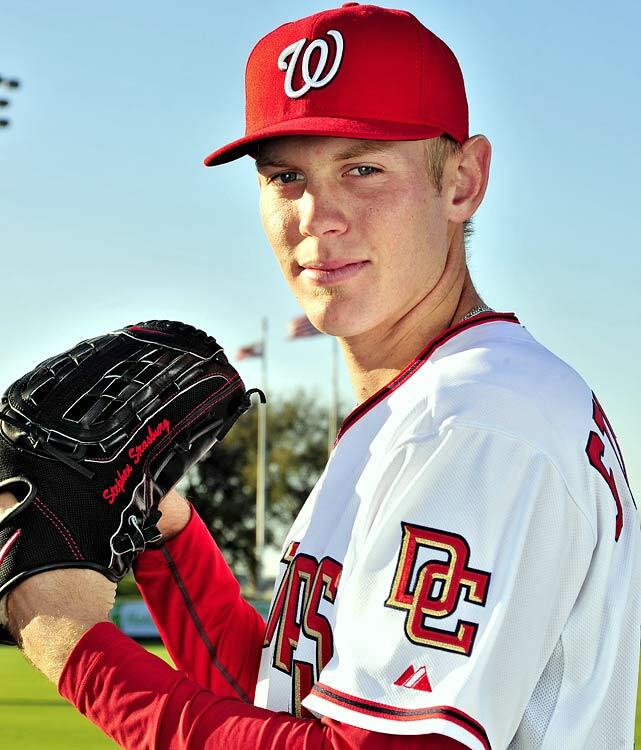 Strasburg is a big, strong kid who is known for his tremendous work ethic. 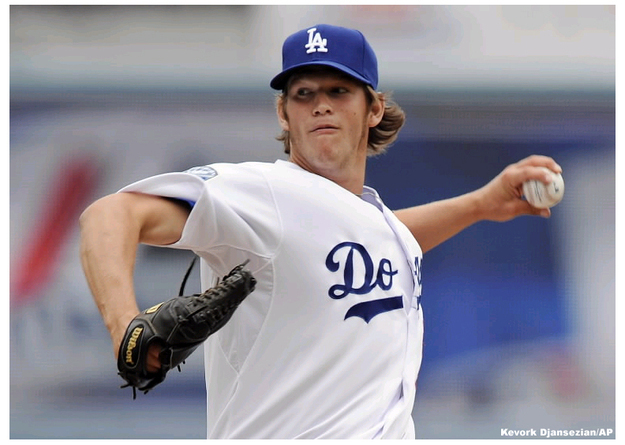 It comes as no surprise that he was able to begin pitching less than a year after getting the surgery. 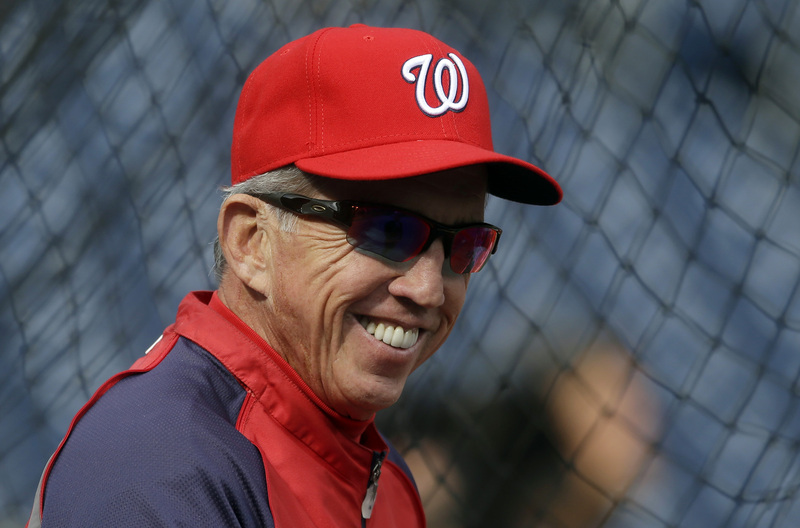 The weather today in Washington DC was wet and dreary, so manager Davey Johnson was close to pulling the plug on the start if the game was even delayed. 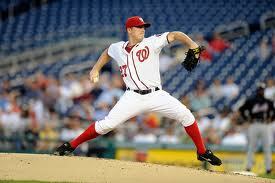 The Nationals wanted to make sure Strasburg had enough time to warm up and be ready to pitch in the game. 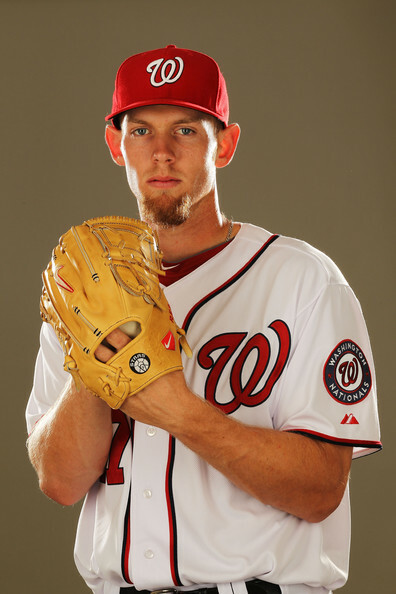 When the tarps were taken off the field around 6:45pm, Strasburg was in the middle of his warm-ups. Dee Gordon led off the game with a double, but after that, Strasburg didn’t see any trouble the rest of the way. Matt Kemp grounded out softly in between fly balls by James Loney and Juan Rivera in the first inning. The second inning was vintage Strasburg, as he threw 3 fastballs between 95 and 97 mph with run and sink, then threw a change-up at 90 mph that Andre Ethier swung over for strike three. Aaron Miles was then disposed of with a 99 mph heater, and Rod Barajas hit a lazy fly ball to center field. 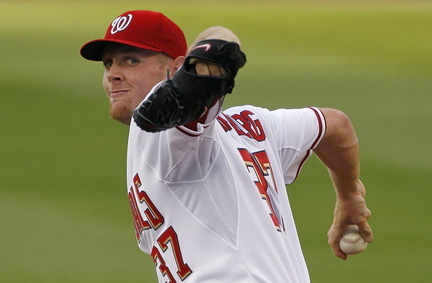 The fourth inning saw Strasburg get two more strikeouts and give up a single to Rivera. Gordon and Rivera’s hits ended up being the only two base runners against Strasburg. His outing ended in the 5th inning after a fly out, ground out and foul out. Strasburg was dominant. 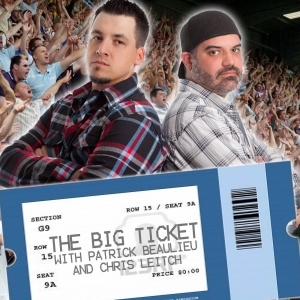 His 4-seam fastball was 95-99 mph throughout his 56 pitch outing, 40 of which were strikes. 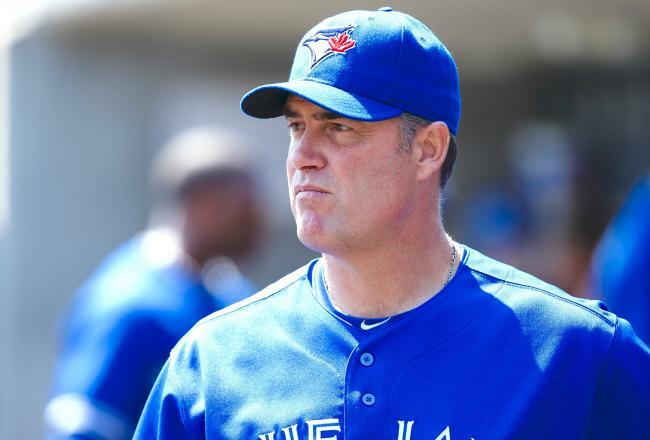 His 2-seam fastball had great late life, sinking late and inducing ground balls. Only 6 breaking balls were thrown, and although they were pretty sharp and late breaking, it was clearly his 3rd best pitch. 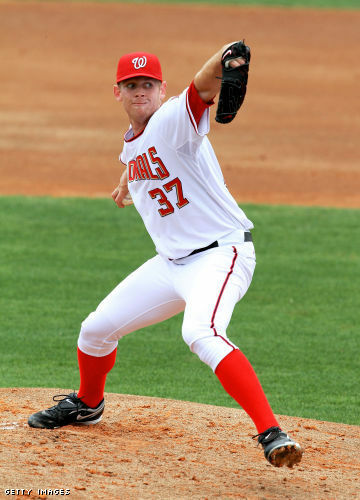 Breaking balls are usually the last pitch to come around after Tommy John surgery, because pitchers don’t start throwing it until later in their rehab. 5IP, 2H, 0R, 0ER, 0BB, 4K. 5IP, 3H, 1R, 1ER, 1BB, 9K. Aside from the strikeouts, I was pretty close. Strasburg is such a rare talent, that a rainy and cold Tuesday night game against a non-contender such as the Dodgers drew over 5,000 more fans than their average season attendance. 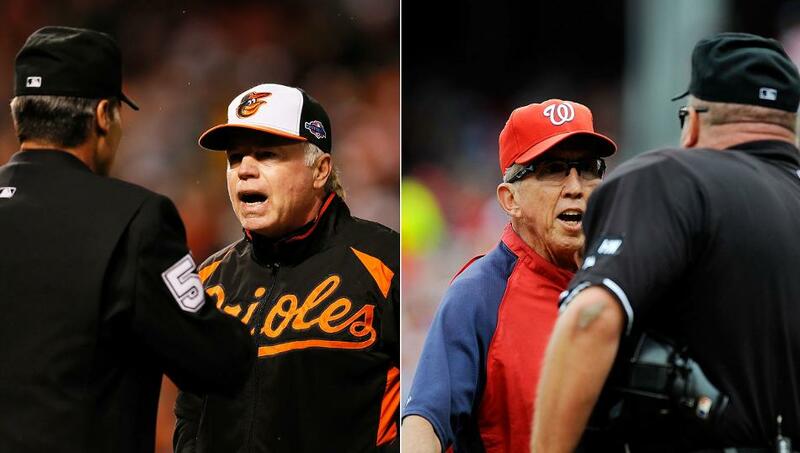 Strasburg-mania really hit Washington on a cold, damp Tuesday night. If he continues to pitch like this, the Nationals could be close to contending in 2012, but more likely in 2013 when Bryce Harper could be in the field on an everyday basis.